Cooking for a week from one book doesn’t necessarily mean the book is any good. On paper this book shouldn’t have been any good because it was given to me as a cast off. What I tend to do is go from cover to cover and write down everything I think I’d practically like to make in a week. I only stopped because there was definitely enough to make in one week. I’ll go through the rest of the book another time. After shortlisting everything I want to make we then decide what we actually want the following week applying the logic that we need 4 evening dishes and 5 lunchtime dishes and maybe a few extra. We then try and order all the ingredients on Ocado. There are number of recipes on the list above that I haven’t made yet – but I will. I’d say this book has a very good selection of recipes for all types of cook – and that most of the recipes are pretty easy to make. You certainly won’t be slaving in the kitchen for hours. Nothing I made in this book took me more than an hour. Half the things I made were just throw it together in a bowl and eat straight away. Perfect for work where you don’t usually have much more than a microwave. In summary, I’ll be making recipes from this book regularly. It has plenty of no meat, low-carb recipes and most of the ingredients are readily available. What’s a Turkish Spoon Salad. Well it’s a lot of fine chopping I can tell you. Tomatoes, Romano Peppers, Red Chilli, Shallots and Cucumbers. All chopped and mixed with Harissa, olive oil and white wine vinegar. After throwing in lots of mint and parsley this really does make a really fresh and tasty salad. It was it bit spicy for my fiancé but I liked it that way. 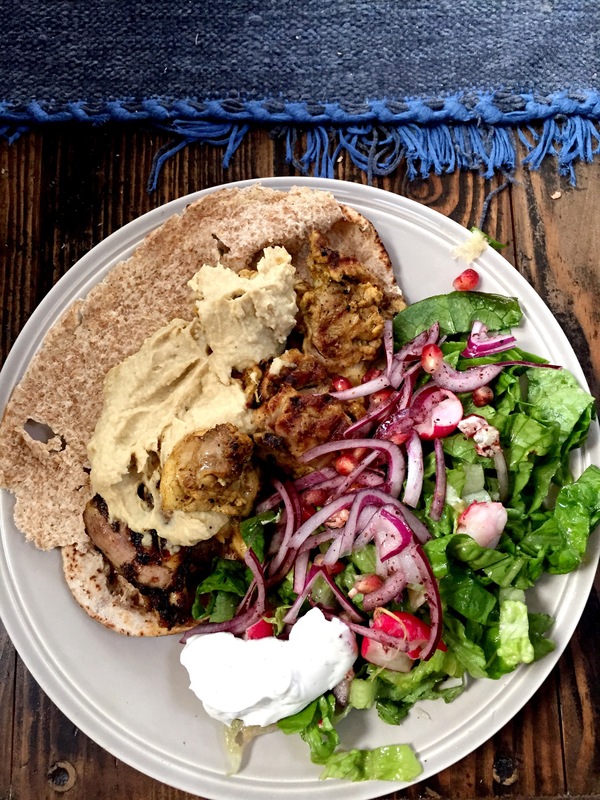 The Haydari isn’t dissimilar to Labneh. It’s a kind of goats cheese you make with Greek yoghurt and lemon juice which you strain in muslin for 24 hours. 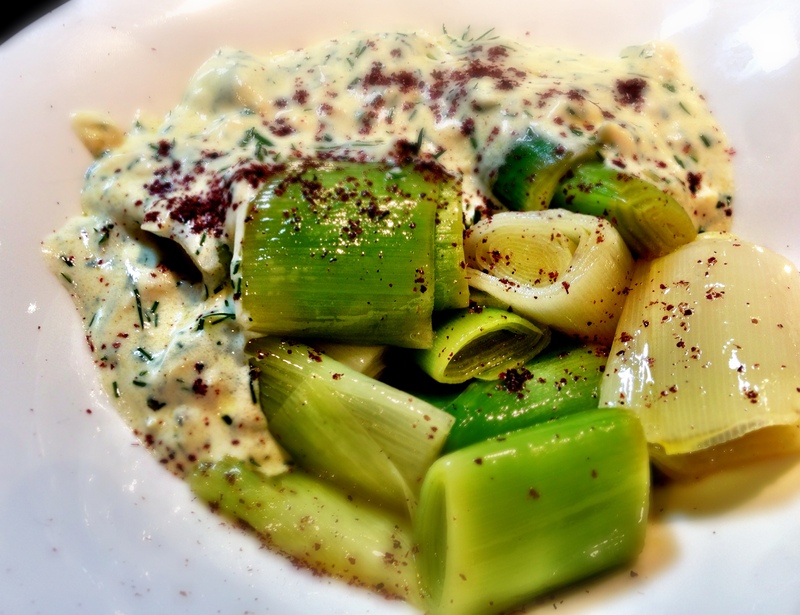 Haydari is accented with dill, green chilli and sumac. 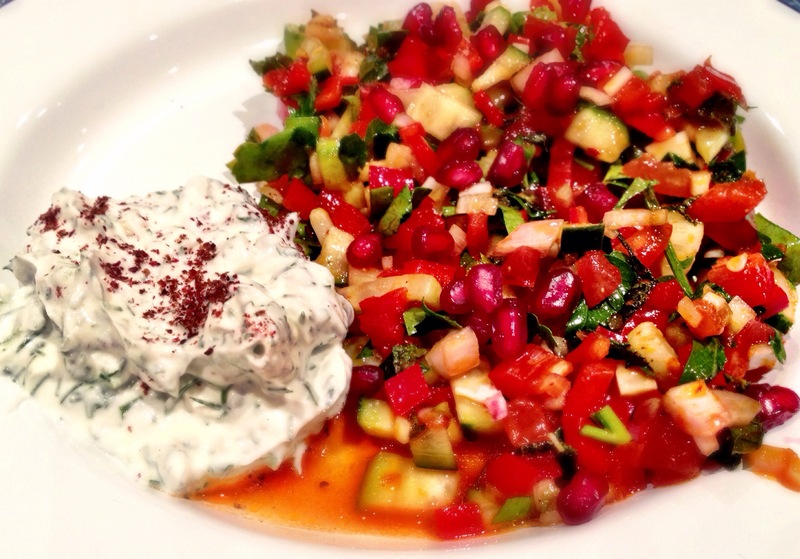 This is a very nice salad if you have time to make it and remember to get the Haydari on the day before. Right now to get ready for a night of Rock n Roll dancing! I chose to make this for lunch today because the weather in the UK couldn’t make it’s mind up. Hints of sun – but too cold to be summery. This salad is very summery. Smells of summer and tastes wonderful. You needs ripe nectarines and tomatoes or it will just taste unpleasant. I got mine from Natoora. If you can cut fruit you can make this. The balsamic and olive oil dressing really brings it to life. While there are ripe nectarines out there I’ll be making this. Definitely a keeper. Diana Henry’s book is proving very useful this week. We eat a lot of salads now. This one is very easy. Aside from the vegetable preparation you simply throw all the ingredients together and toss in the customary salad dressing. 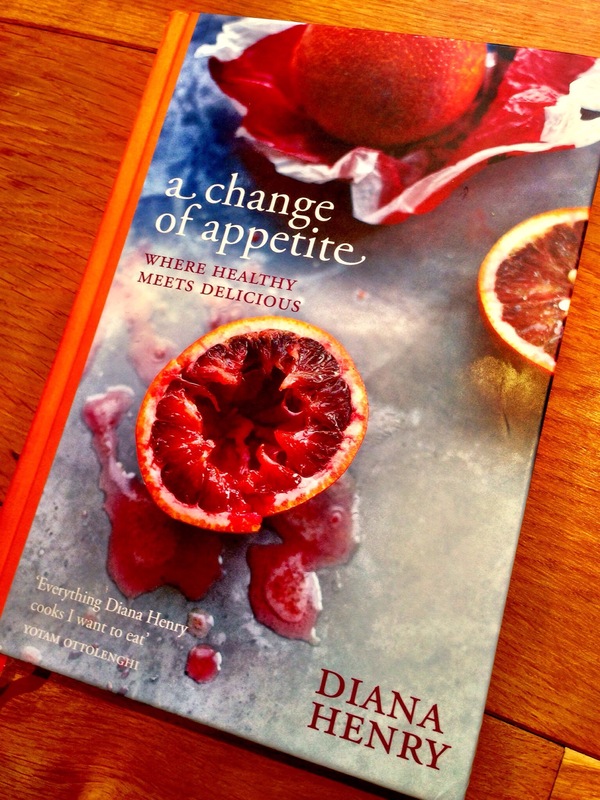 Another great dish from the Diana Henry – a Change of Appetite cookbook.